The Borough of Lansdowne will celebrate the 125th Anniversary of its founding in 1893 with an exhibit at the Lansdowne Arts Board’s 20*20 House. The exhibit entitled, “Within a Square Mile: Lansdowne at 125” runs June 2 to July 8. Gallery hours are Saturdays and Sundays, noon to 4. 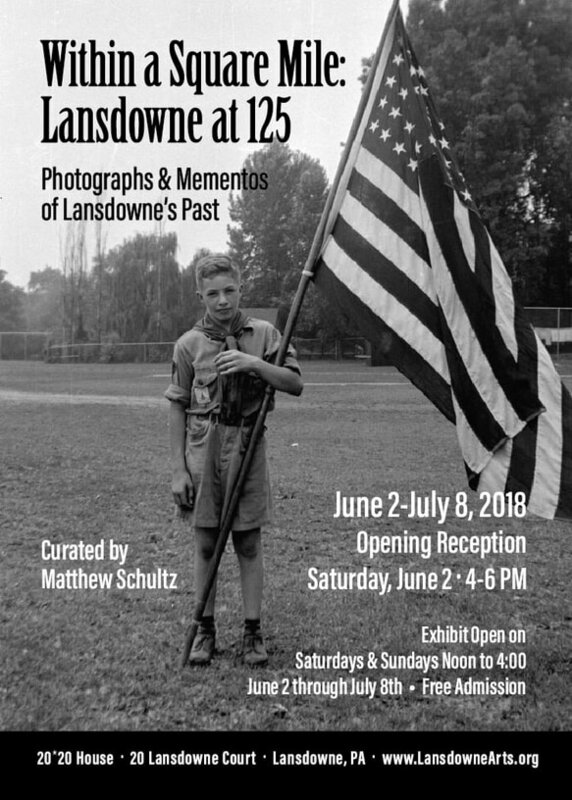 ​The exhibit is curated by local resident Matt Schultz and draws on his personal collection of historic photographs, trophies, uniforms and other Lansdowne-related materials collected over 40 years. The exhibit will also examine the history of Lansdowne High School and Lansdowne-Aldan High School, community traditions, and other local lore. Schultz currently serves as the Executive Director of the Historic Lansdowne Theater Corporation. He is a graduate of Lansdowne-Aldan High School and Temple University. As a volunteer, Schultz served as the longtime president of the Greater Lansdowne Civic Association where led the efforts to restore the Lansdowne Railroad Station, Lansdowne World War Monument, Lansdowne World War II Memorial; create Sycamore Park; and establish the Henry Albertson National Register Historic District.